Is TDP Chief making false statements against KCR? Sri Ramachandra Murthy January 4, 2019 09:00 IST Is TDP Chief making false statements against KCR? 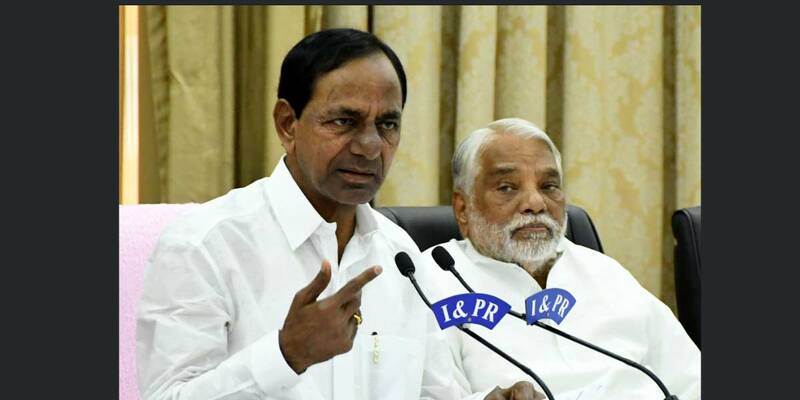 According to sources after continuing their tirade against AP Chief Minister N. Chandrababu Naidu, TRS MLAs said that Telangana CM K. Chandrasekhar Rao convinced 36 parties, including the Telugu Desam Party to achieve statehood for Telangana. Suryapet TRS MLA G. Jagadish Reddy said "Chandrababu has to remember that KCR has the capability to convince even TDP. He did it for Telangana, so don't underestimate KCR's efforts in creating a Federal Front". Meanwhile this apart, Reddy suggested Chandrababu to focus on administration in Andhra Pradesh rather than making political statements against KCR. He said "KCR convinced Chandrababu to write a letter to the Centre, favoring the creation of Telangana and this means KCR can do it even in case of forming a Federal Front. Furthermore Telangana people have rejected the TDP and have shown us that they trust KCR's leadership and TRS government. So, Naidu should at least understand it now". Moreover stating that Chandrababu has developed "KCR paranoia", Reddy said that "If KCR led the camp against NTR, and then he would have become CM. Why would he let Chandrababu become the CM?," he questioned.